Two days following Thanksgiving, Small Business Saturday gives small businesses the chance to showcase the variety and quality of their goods while cultivating a network of independent businesses united for a common cause – making the Flathead a better place to live. From fine jewelry to camping gear to dining establishments, Small Business Saturday supports all types of retailers and service providers. Small Business Saturday is a day to #shopsmallflathead! To inspire our community to get out and support these small, local businesses that create jobs, boost the economy, and make our Northwest Montana home unique, the Kalispell Chamber has been a Small Business Saturday Neighborhood Champion since 2011. Each year we partner with other area chambers of commerce and small businesses from all corners of the Flathead Valley to remind our community about the advantages of shopping small, encouraging shoppers to reinvest their hard-earned money back into our community. Whether you are a small business owner or a consumer, please join the Kalispell Chamber and shop small this year on November 30th. 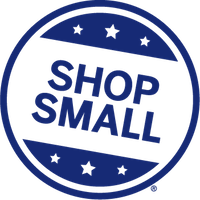 Click here to review the 2018 Small Business Saturday shopping guide.